There aren’t many so qualified to offer advice on transitioning from ADF as Tracy Parker. Tracy Parker enlisted into the army in 1991 and was posted as Op sup to the 5th Aviation Regiment in Townsville. While posted to 5th Aviation Regiment he was heavily involved with CT activities. Having completed several postings in the Aviation stream he was then posted to1SQN SASR in 1999, while serving in the regiment he served in 2 SQN, OP SPT SQN, HQ SQN and, the Swan Island detachment that is currently now known as 4 SQN. Tracy’s operational experience includes deployments to East Timor 2001, Afghanistan 2001/ 2010 and IRAQ 2003. He was promoted to the rank of Sergeant while serving in HQ SQN and Posted from Swan Island on promotion to Warrant Officer in 2004. In 2012, Tracy discharged/ transferred from the ADF to begin contract work within the Oil and Gas industry in far north WA. 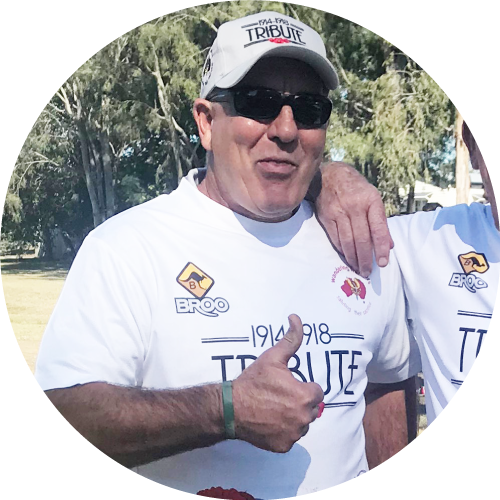 Tracy currently run a small business as well as, attend Army reserve 2-3 days a week where his role involves transitioning soldiers out of the ADF. We are also lucky to have Tracy volunteer his services to Wandering Warriors in whatever capacity required. Reservists have contacts in the civilian world that appreciate military experience. Not uncommon to have a reservist digger who is actually a hiring manager in ‘real world’. Remember Defence have guided you through most of your life!! It’s now on your shoulders! !